I’ve been impressed to see the developers and bloggers from Kenya and South Africa taking the time to create gatherings where they can pass on knowledge – everyone ends up profiting from the experience. 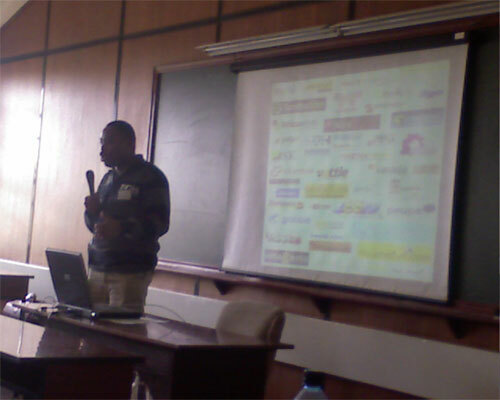 The techies in Nairobi have just concluded their 2nd BarCamp this year (the first was in March). Michuki and Edgar talked a bit about local content & what their thoughts on innovation were – the drivers. This broke down into a reportedly energetic debate about entrepreneurship that pitted “passion” vs “making money“. I’m sure that Daudi (Mental Acrobatics) will end up having a lot more to say – he was actually there. I’ve heard he will have video and better pictures too, so check his blog out. Also, I just found Wilfred Moria’s blog who was there as well, check it out for a good recap. Yeah, it was a great experience being at barcamp today.